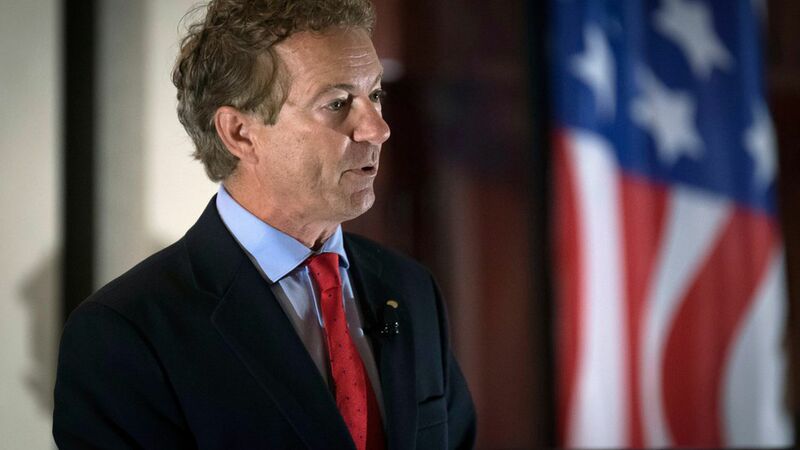 Sen. Rand Paul (R-Kentucky) is recovering from five broken ribs, including three displaced fractures and bruised lungs, following an assault at his home Friday night, per AP. An attorney for the man charged in the attack issued a statement Monday claiming that "the regrettable dispute" was not politically motivated, but was rather a "trivial" issue between neighbors. Why it matters for Washington: Senate Majority Leader Mitch McConnell told reporters Monday that Paul's potential extended absence from work could complicate the GOP agenda, as every Republican vote is needed in the busy weeks ahead to keep his slim majority. "Any time a senator on our side is not there, it's potentially challenging," said McConnell. Police charged Paul's neighbor, 59-year-old anesthesiologist Rene Broucher, with misdemeanor fourth-degree assault after he admitted to tackling Paul from behind while the senator was mowing his lawn, per AP. Broucher, was taken to the Warren County Regional Jail, but was later released on $7,500 bond. His court date is set for Thursday. "Displaced rib fractures can lead to life-threatening injuries," said Doug Stafford, Paul's senior adviser. "This type of injury is also accompanied by severe pain that can last weeks to months." He added that three of Paul's broken ribs were displaced. The FBI, in addition to Capitol Police, is investigating the incident as assaulting a member of Congress is a federal crime. Broucher's lawyer, Matthew Baker, said in a statement that the two men have been neighbors for 17 years and worked together when they were both practicing physicians, and suggest that the "dispute" was "over a matter that most people would regard as trivial." However, NBC reported that the neighbors have not spoken in several years, and the animosity between the two could be a result of "Boucher's distaste for Paul's politics, as well as those of his father," former Texas congressman Ron Paul. Paul and Boucher have also reportedly disagreed about a property line regarding a creek behind Paul's house, where the senator's sons would sometimes play, per NBC. Two Kentuckians also told NYT's Jonathan Martin that the attack may have stemmed from a dispute over "some sort of planting or flora issue around the properties."